· Escape to the St. Regis Punta Mita Resort and take advantage of its “Sunsational Savings” package to enjoy beautiful beaches and amazing sunsets this winter. The package offers a glass of champagne upon arrival, third night free, daily full breakfast at Las Marietas Restaurant, signature St. Regis Butler service with its wake up call with complimentary coffee or tea and the pressing of two garments, Children’s Club for children from 5-12 years free of charge and free access to Exercise room and Remède Spa. Starting from US$406 in a Deluxe Garden View Room per room per night based on a double occupancy, this package is valid for a minimum stay of three nights from November 5th - December 20th, 2012 using rate code SUNSAV. For reservations visit www.stregis.com/puntamita or call 1-877-787-3447. · The Four Seasons Punta Mita allows you to beat the holiday rush with more days to relax, explore, or do whatever you want in Riviera Nayarit with its “Stay Longer” package. For every two consecutive paid nights you get the third night free from now until December 21st. With every three consecutive paid nights you get the fourth and fifth nights free from November 25th until December 21st. Or, extend your four-night stay with a complimentary fifth night between January 3 and April 6, 2013. Starting at US$400 per room per night based on a double occupancy, this package can be booked online at http://www.fourseasons.com/puntamita or by phone at 52 (329) 291-6019. 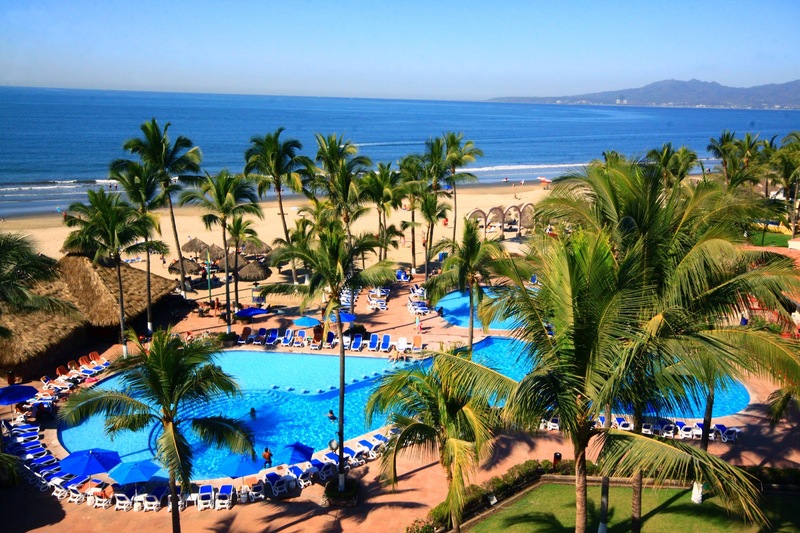 · The newly renovated Occidental Grand Nuevo Vallarta is offering reduced rates this winter with two special promotions. The “Holiday Sale” promotion includes the resort’s all-inclusive features at a discounted rate of US$167 per person per night from December 23 – January 2, 2013. The “Winter EBB” promotion includes 48 percent off your stay in a Deluxe room from January 3 – April 30, 2013 when you book before November 29. For reservations, please call 1-800-858-2258 or go online at http://www.occidentalhotels.com/grand/NuevoVallarta.asp. · The Riu Palace Pacifico, characterized by its elegant palatial architecture, is offering special rates starting at US$94 per night per person based on a double occupancy. Riu Vallarta, distinguished by its avant-garde design, is offering special rates starting at US$74 per night per person based on a double occupancy. Valid now until December 23rd, these promotions can be booked online at http://www.riu.com or by phone at 1-888-748-4990. · The luxurious AAA Five Diamond all-inclusive Grand Velas Riviera Nayarit in Nuevo Vallarta is offering special discounted rates and no minimum night stay requirement for Christmas. Starting at US$380 per room per night based on a double occupancy, this promotion is valid for travel from December 20-27. For reservations, use code X12BRO online at http://vallarta.grandvelas.com/ or by phone at 1-877-418-2722. · Discover historic San Blas at the stunning Garza Canela Hotel with discounted rates for the holiday season. From now until December 15th, guests can book a room for US$80 per room per night based on a double occupancy plus two kids under 12 stay for free when sharing the room. During Christmas and New Year’s, guests can book a room for $140 USD per room per night based on double occupancy, complimentary breakfast and kids under 12 stay for US$20. For reservations, visit http://www.garzacanela.com or call 1-800-713-2313.